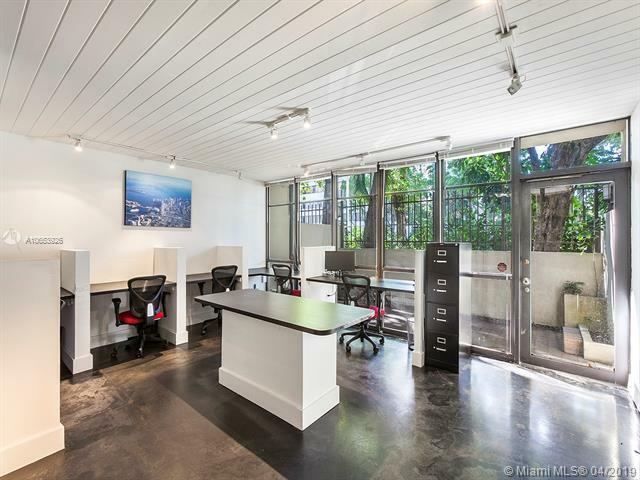 Must see rarely available & unique COMMERCIAL (LIVE/WORK) space available in heart of Coconut Grove & a few steps from FRESH MARKET. 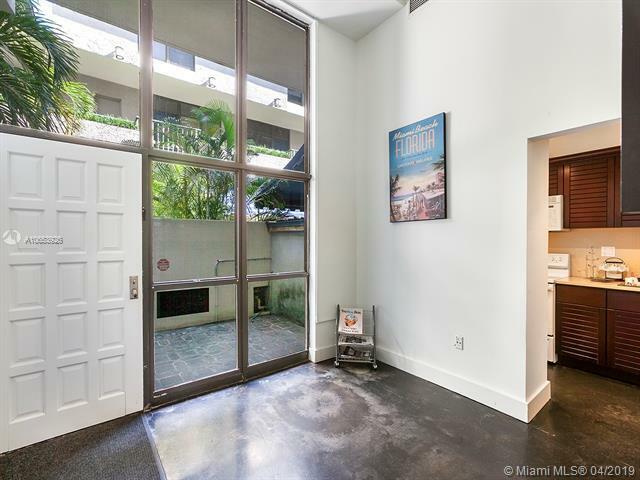 Ground floor 990 sf partially furnished Unit features lots of natural light & wide-open volume ceiling, polished concrete floors, cherry wood kitchen cabinets, quartz countertops, W/D connections. Includes water, sewer & waste. 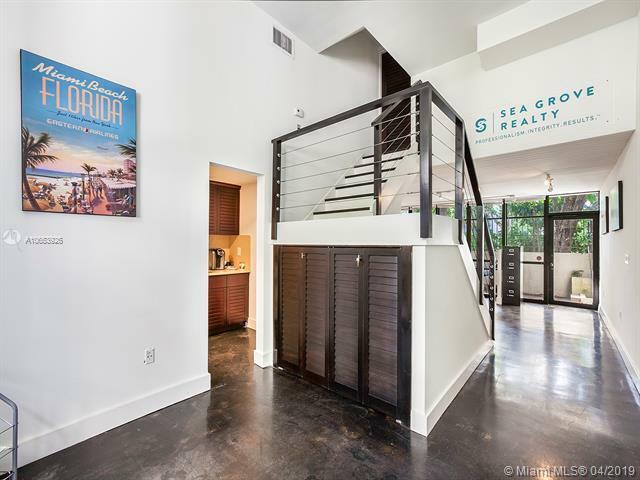 Has gated lobby with intercom, 2 levels, large room upstairs, 1.5 bathrooms, full kitchen, front & back private outdoor terraces. 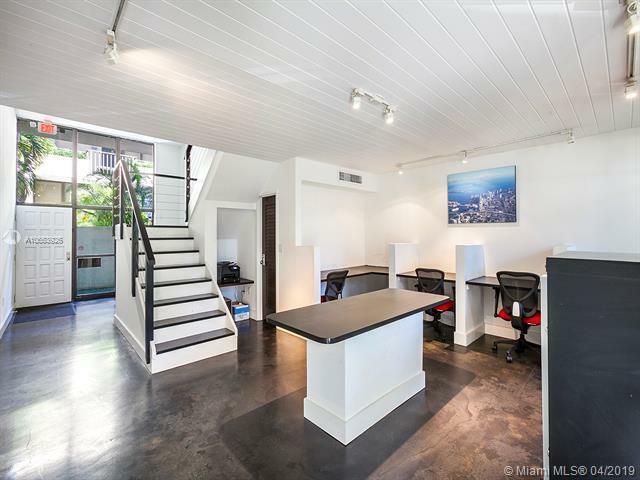 Quiet & secure mixed-use building with 28 total offices & townhomes. Underground parking garage with 47-space includes free Guest Parking + plenty of street parking. Walk to Groves popular restaurants, marinas & nightlife. Pet under 40 lbs is OK. Rated 91% Walkers Paradise. Very easy to show.